Farmers have been hit hard by the poor quality flower seeds supplied by the department of horticulture. It has come to the fore as a scam in which officials of the department had procured poor-quality flower seeds under the national horticulture mission scheme at higher rates and dumped them with the farmers who suffered losses. Taj Mahal, “a tear drop on the cheek of eternity”, as Gurudev Rabinder Nath Tagore described it, may cease to be one of the seven wonders of the world after July 7 as it is facing tough competition from 20 other wonders. This is despite the fact that India has over one billion people but not too many who could vote to ensure that the Taj remains in the “New Seven Wonders of the World”. As many as 1,300 followers of Dera Sacha Sauda from 26 villages and Sangrur town today snapped ties with the sect at a religious function held at Gurdwara Gurparkash Sahib at Kherri Sahib village, about 7 km from here. Those who left Dera Sacha Sauda were from Kherri, Nagri, Kanoi, Lad Banjara, Chhajli, Sandoha, Mehlan, Mangwal, Aklian, Uppli, Rangian, Kattu, Kular Khurd, Dhanaula Khurd, Kaulserri, Batuha, Bhaini Jassa, Nihalgarh, Dhandoli Kalan, Kotduna, Kalabula, Kila Hakeema, Gaggarpur, Khetla, Kila Batuha, Kammo Majra villages. Former PPCC president H.S. Hanspal has alleged that the law and order in the state is in a poor shape. Goons are on the rise. This can be proved with the apathetic attitude towards his nephew Mahinder Partap Singh who is battling for life at the Civil Hospital here. The unrest in Rajasthan over the Gujjar community’s demand for inclusion in the Scheduled Tribe list spread in the district today with a protest taking place in Garhshankar town, 40 km from here. The district unit of the BJP has demanded the dissolution of Municipal Councils, Pathankot and Sujanpur. It was alleged that these had become dens of corruption. Did the Sangrur Municipal Council (MC) misused Rs 2 crore earned from the sale of municipal land of the old truck union? 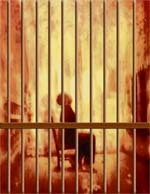 Incredible it may be but the Punjab Jail Manual, drafted in 1996, provides for detaining “non-criminal lunatics” in district prisons, even though the Mental Health Act, which came into existence nine years earlier, clearly says mentally ill patients can be admitted only to psychiatric hospitals and nursing homes. This is not all. The word ‘lunatic’ was replaced by ‘mentally ill person’ much before the manual was drafted. Yet it has a complete chapter devoted to ‘lunatics’ in violation of the Mental Health Act of 1987, and the Supreme Court of India’s directions. The union government has allocated 270 MW of power from its quota to Punjab. The Punjab State Electricity Board (PSEB) has decided to introduce voluntary disclosure scheme (VDS) for the regularisation of unauthorised extension in the load of the tube well consumers in the state. PSEB chairman Y.S. Ratra said this scheme had been introduced for a period of 2 months extending from May 15 to July 14. As much as Rs 2.5 lakh has been sanctioned to the Department of Journalism and Mass Communication, Punjabi University, by the Ministry of Science and Technology for conducting a national seminar on development and science communications. In a lengthy hearing enlivened by animated arguments, Justice Uma Nath Singh of the Punjab and Haryana High Court today directed that B.I.S.Chahal, media adviser to former Chief Minister Amarinder Singh, cannot be arrested till July 4 without a four-day advance notice in any case, other than Ludhiana City Centre case, to be or likely to be registered against him. The Punjab Legal Services Authority (PLSA) has released a schedule of Lok Adalats to be organised in Punjab from June 1 to September 30. A woman PCS officer, posted as SDM (West) here, has initiated criminal proceedings against her father, a stepmother and two stepbrothers and another person, for allegedly making false certificates of stepbrothers to usurp the property owned by the SDM’s family. Fearing threat to his life and members of his family an advocate of Baba Bakala has urged the state government to provide security to him besides arresting the accused who had allegedly assaulted him and four others on March 11. Addressing media persons here today advocate Navtej Singh and member Baba Bakala Bar Association said the police had failed to arrest SAD worker Jasbir Singh, who was roaming freely in the area along with his two gunmen. He alleged SAD MLA Manjinder Singh Kang was sheltering the accused against whom a case had already been registered. The Labour Court, Patiala, is without judge for the past 18 months. This has hit the justicial system, especially in cases of labourers that have been pending in the court. 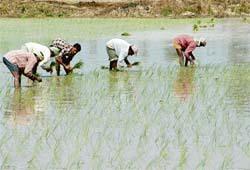 Punjab State Cooperative Supply and Marketing Federation (Markfed) and Cooperative Supply and Marketing Federation, Haryana (Hafed) have roped in hundreds of farmers in Punjab and Haryana for contract farming of basmati and sharbati varieties of paddy, on 22,000 acres across 16 districts in the two states. Punjab Mandi Board has passed a resolution advocating making payments to farmers through cheques. The resolution has been sent to the government for approval. Two persons were caught by the special task force (STF) constituted by the forest department while they were illegal cutting trees in an adjoining forest yesterday night. Conservator of forest Praveen Kumar said the STF raided the forest adjoining Bariya Pattan village yesterday night and arrested two persons identified as Balvir Singh and Kala Singh in this regard. The investigation into the murder of Amandeep Singh, a student of the local engineering college, which took place on the night of May 28, has brought contract killing into light. Muni, a 30-year-old woman and mother of three-year-old child, was allegedly murdered by her husband Mewa Lal at their house located near Khialiwala village of the district late last night. 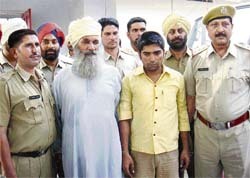 The free run of NRI Nirmal Verma, who allegedly duped Punjabi girls into marriage on the pretext of taking them abroad, ended today with the local police arresting him and his driver Baljit Singh. Two head constables, posted in the Sadar police station area, allegedly stopped a person at Bahabwala check post located on the Hanumangarh-Abohar road yesterday. The man was smuggling 15 kg poppy husk from the neighbouring Hanumangarh in Rajasthan. English and mathematics continue to be high hurdles to negotiate for school students in Punjab. The Punjab languages department, which has been in a state of neglect for a long time, will be upgraded into a national institute of Punjabi language, literature and culture. First batch of students under the Golden Heart Scholarships Scheme of the Yadavindra College of Engineering (YCoE), who took their first engineering examination (B.Tech Ist semester) in January 2007, came out with flying colours as 46 students out of the total 72 secured first division.